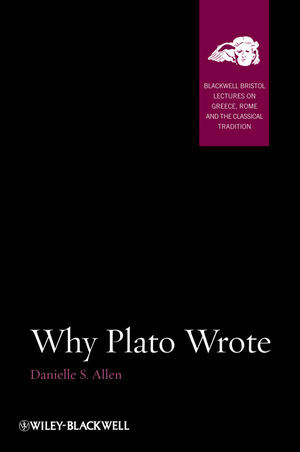 Why Plato Wrote argues that Plato was not only the world’s first systematic political philosopher, but also the western world’s first think-tank activist and message man. Danielle S. Allen is UPS Foundation Professor at the Institute for Advanced Study at Princeton. She is the author of The World of Prometheus: The Politics of Punishing in Democratic Athens (2000) and Talking to Strangers: Anxieties of Citizenship Since Brown vs. the Board of Education (2004).